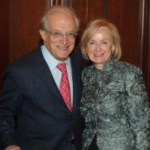 A gift in memory of Friedrich Katz acknowledges his extraordinary influence at The University of Chicago and beyond, and provides for the growth of scholarly programs at the Katz Center for Mexican Studies. The generosity of students, colleagues, and friends of Friedrich Katz supports the mission of the Katz Center for Mexican Studies. Mexican Studies Seminar: an ongoing seminar series that enables visiting and UChicago scholars from a range of disciplines to present and discuss their research. Revolución y exilio en la historia de México: this book of essays in honor of Friedrich Katz is the third in a series of Katz Center joint publications. Katz Program on Mexican Culture: the Katz Center signed an exchange agreement with CONACULTA that brings Mexican artists to The University of Chicago as Visiting Professors and guest lecturers.